One of the most telling stories of an organization is how it has survived and excelled in a changing global business environment. While Apple is currently the flying high in the markets, it claims success from the swift change to market trends that leaves competitors at a point of imitation. 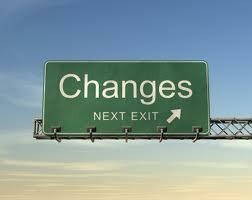 Responsibility for managing change is the management and executive leadership of the organization. The employee responsibility is to do their level best. Change must involve the people and not be imposed upon the people. Whenever an organization imposes new things on people there will be difficulties. Participation, involvement and open, early, full communication are the important factors.